Call 911 if you witness a crime in progress or a possible crime in progress or a dangerous situation. Lock It OR Lose It! 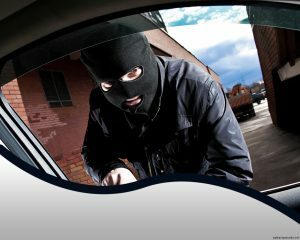 Secure your vehicles & home. Increase street visibility around your house so that neighbors and others can see if someone is in your yard or trying your door locks. If your home looks occupied, your risk of burglary decreases, take all necessary steps to lessen enticement for criminals. Thieves prefer residents not to be home, so leave lights on, get your mail collected, and take other steps to make it look like someone is home. Thieves like easy pickings, so target harden your home with outside lighting, good locks, alarms, and other home protection device. Reach out, volunteer, and participate in your community so that you know who belongs in your neighborhood. When you see something suspicious, don’t hesitate to call police – promptness promotes prevention. Anticipate likely targets of crime, be observant in your neighborhood, report anything suspicious in nature: Crime prevention does not occur randomly, it is the result of planning and effort.